On November 11, 1918, an armistice signed between the Allied powers and imperial Germany ended the First World War. The guns, as the cliché has it, fell silent. Yet this war, which upended vast regions and mobilized not just armies but entire societies, cast a long shadow. Societies’ exit from war was neither swift nor smooth. Demobilized men brought home trauma and anger. In the shattered zones of empires and nations across Eastern Europe and the Middle East, violence continued to explode. Norms of violence shifted, misery, disease, and famine sapped public health, economies reeled, subalterns of all stripes shed old expectations of subservience, elites decried or, ominously, welcomed the end of an order; and no narrative, national or otherwise, managed to vindicate mass mourning and mass mutilation. In short, the dislocation and discontent of peoples, cultures, and mentalities caused by the war did not end with the Armistice. Under the general rubric of dislocation and discontent, the aim of this conference is to explore the many ways in which the First World failed to end in November 1918. We define this rubric in the widest sense to encompass the war’s manifold dislocations (social, demographic, cultural), which did not come to an end with the end of the war; as well as the myriad efforts – individual, collective, official – made to reduce, or, conversely, to deepen dislocation. 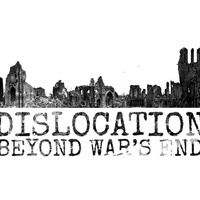 This conference brings together an international group of scholars whose research stands at the forefront of the attempt to grasp the myriad dislocations generated by the First World War.